In this article we look at ‘How Content Can Boost your Responsive Web Design’. The way we people use technology has changed dramatically over the last few years. Smartphones and tablets have replaced desktops and laptops as the primary mode for accessing the internet. With this change in technology, and the change in consumer behaviour, comes the challenge for businesses to deliver a consistent experience across multiple devices. The best way for businesses to ensure a consistent experience is responsive web design. 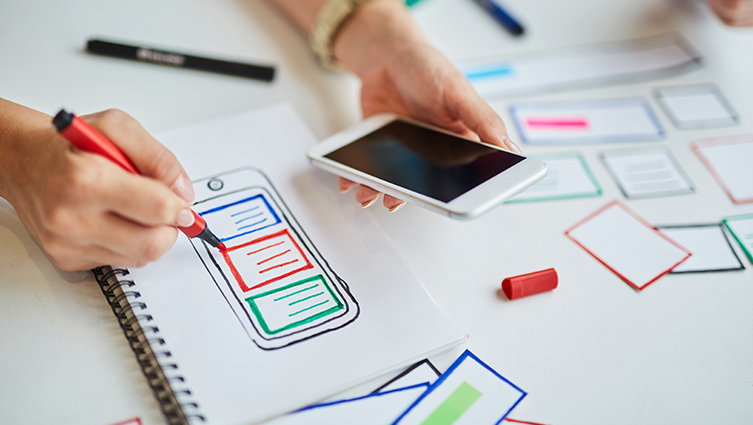 When it comes to responsive web design, the website content can often be overlooked – but it is one of the most important aspects of your website. Website content tells visitors about your business, what you do and helps them to make the decision to become a customer. Here are three ways to optimise your content and maximise the potential of your responsive website. The way your content is displayed and arranged is an important factor in ensuring a good user experience and keeping your audience engaged. Now more than ever consumers want and expect information to be readily available and as quick as possible. Ensuring your content is arranged in bitesize chunks of information will help users to find exactly what they are looking for and will keep them engaged for longer. The use of rich media such as images, videos and infographics can break up large areas of text and often a video can convey your message in a much simpler way than line after line of text. Keeping your website content concise helps the reader to easily digest the content, breaking down different topics or sets of information vertically is an effective technique to improve readability. It is important when developing your responsive website that all the appropriate teams work together. Your website designer and developer are responsible for ensuring your website is responsive, all key functionality exists and is working 100%. Your sales and marketing teams and copywriter should also play an important role to ensure that brand consistency (and tone of voice) is maintained. Taking a joined up approach from the start is the best way to ensure success. It is vital that your responsive website is designed to incorporate the needs of sales and marketing and has good website content. Working together at the planning stage will help overcome any design issues further down in development. This collaborative approach in turn will speed up the turnaround time and improve the user experience. With consumers wanting one-click information it is important that your responsive website is designed to be easy to navigate across any device. While the design of your website will be down to the website designers and developers, your copywriter or content team should think about the structure of the content and decide the hierarchy of the content. With the difference between the display size of PCs, mobile phones and tablets it is imperative that all the information that users expect to be able to access up-front should be adjusted on the top section of the website. There should also be a good balance between the content conveying the key messages and call to actions.